I work in an open plan office; there are positives and negatives. On the plus side, at least I’m not confined to a cubicle and I can converse with many of my colleagues without leaving my chair. Less happily, when it’s a particularly busy day and the phones are going off every few minutes and the keyboards are clattering on, it can be noisy the point that it’s impossible to hear oneself think. To help remedy this, I bring in my iPod and a set of sturdy headphones; when I have intricate work to do, I tend to put on the music of Richard Wagner. As today is the bicentenary of his birth, I have more cause to consider him than usual. I am a reticent Wagnerian. There is no escaping the fact that Richard Wagner was a disgusting anti-Semite; furthermore, he wasn’t an admirable character in general. He was a spendthrift and a scoundrel: he depended upon his friends far too much for financial support and had numerous scandalous liaisons. He even ran off with the wife of Hans von Bülow, the man who conducted the première of Wagner’s magnificent work, “Tristan und Isolde”. The lady in question gave birth to a child of Wagner’s while still married to Bülow. Worse, Wagner’s descendants were early and ardent supporters of Adolf Hitler. Their succour meant a great deal to the budding dictator; he was a fervent admirer of Wagner and his works. Hitler’s favourite piece was “Die Meistersinger von Nürnberg”, Wagner’s only mature comedy: apparently, Hitler knew most of its tunes by heart. When the Third Reich was declared on March 21, 1933, this was the piece of music used to celebrate its malignant birth. Indeed, Hitler was so enamoured with “Die Meistersinger” that it’s possible this influenced the choice of setting for the infamous Nazi “Nürnberg” rallies. Also, it’s not inconceivable that Nazi parades often carried ornate, square banners because of the opera’s staging instructions (Act 3, Scene 5 of “Die Meistersinger” features various trade guilds in procession with similar flags). On a less esoteric level, Wagner may have helped form Hitler’s peculiar, perverse vision of Germany. 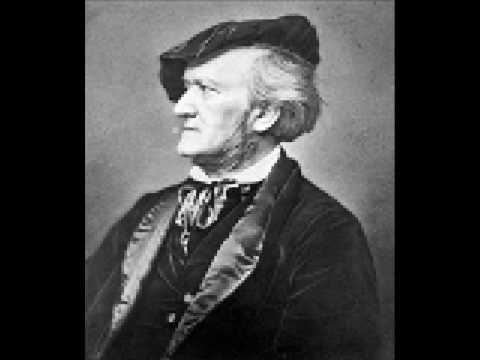 Through what he called “music dramas”, Wagner tried to create an art form as potent as Greek theatre, which spoke to and about German history and culture. In essence, he was a mythologist and propagandist as well as a composer. Hitler bought into these legends, but obviously missed much: in “Das Rheingold”, the dwarf Alberich gains the power to rule the world but has to forsake love in return. The god Wotan takes the Ring which grants this authority, but it is cursed. In “Tannhäuser”, a wayward singer in thrall to Venus and sensual pleasure finds forgiveness from God through love and penitence. Altogether, though Hitler may have heard the music, he never fully listened to what it had to say. The result was dire: as Stephen Fry stated in his thoughtful documentary “Wagner and Me”, Hitler and his minions left a sizeable, indelible stain on the magnificent tapestry of Wagner’s artistic legacy. The popular association of Wagner with blood and violence was reinforced by Stanley Kubrick: perhaps the most famous scene in “Apocalypse Now”, in which a squadron of armed helicopters attack a Vietnamese village, was made all the more terrifying by the rousing cries of the Valkyries embarking on their famous ride. And yet when I put on one of his “music dramas” and hear the overture rise, all this seems to dissipate. It’s the musical equivalent of biting into an exquisite chocolate truffle: deep, rich, complex, with sweet and bitter intermingled. The dissonance of the famous “Tristan chord” speaks of endless longing in a single moment: it takes words alone much longer to get there. The “Pilgrim’s Chorus” from Tannhäuser calls to mind the longing for home and for the solace of God. Also, Wagner was philosophically more complicated than his anti-Semitic rants might suggest: he was simultaneously a political liberal, indeed, for a time, he was considered a dangerous radical. In 1849, he had to leave Dresden and his lofty position as Royal Saxon Court Conductor for the safety of Switzerland because of his association with revolutionary causes. This may seem surprising given that in our era, that prejudices like Wagner’s are seen as retrograde, the sole province of the reactionary and benighted. Yet in Wagner’s day, it was possible to believe in democracy, progress, and liberty, yet also think that certain races were superior to others; the modern mind struggles to see how this logic can possibly work, but in the nineteenth century, there was a prevalent belief that Providence had made some nations and peoples more fortunate than others. As religion’s grip weakened towards the century’s end, Darwin was interpreted in such a way as to suggest that some races were more “fit” to survive. Indeed, Darwin’s devoted cousin Francis Galton was a pioneer of the pseudo-science of eugenics. George Bernard Shaw, a noted socialist and eugenicist of Galton’s ilk (and a fan of Wagner’s) suggested in 1910 that people who were unfit to live should be killed humanely with poison gas (to be fair, however, there is some evidence that he was being facetious). Later, Shaw was a vigorous defender of Stalin’s Russia, lending it particular support just as the regime was starving and brutalising the people it ruled. Yet Shaw’s reputation, as well as that of Darwin is relatively unblemished compared to that of Wagner; no one goes to see “Pygmalion” and wonders what Shaw would intend to happen to Eliza Doolittle had she remained an uncultured flower girl. Charles Darwin remains on the list of the most revered figures in the history of science. Nevertheless, Wagner’s genius, linked as it is so intimately to his faults, challenges his modern aficionados; perhaps it’s important to remember that few human beings are entirely bathed in light or shrouded in darkness. The human heart contains both angels and demons fighting for every scrap of territory. It would be incorrect to say that Wagner was a moral man, but he certainly was brilliant. He was an anti-Semite, yet perhaps oddly, he entrusted the première of his last opera, Parsifal, to the Jewish conductor Hermann Levi. It would be wrong to suggest that Wagner created the Nazis, but he certainly influenced them. His music envelops the listener, but it should not snuff out awareness of how even good ideas can be perverted, particularly when complexity and outright contradiction are brushed aside. I will spend most of the bicentenary in my open plan office. No doubt, as my colleagues file into the office and I need a refuge for my thoughts, I will don my headphones once more. I’ll press a button and the theme to Tannhäuser will rise. The Pilgrims’ Chorus will make me pause for a moment; I will shut my eyes and enjoy it washing through my senses. It will not be without guilt nor hesitation: not then, nor ever. However, some things are simply too precious to give up merely because they have strings attached. Posted by Christian DeFeo in Rants, Reviews on May 22, 2013. (1) Comment.